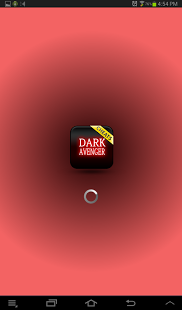 This application provides a wealth of free information to Dark Avenger players and fans. You could find here free videos to help you become better and improve your game experience. This is not the official Dark Avenger game, but a large collection of data to enhance your player experience. Have Fun! IMPORTANT: We love creating apps, and want to keep them 100% free forever. In order to keep our development running we are using a search service. This app will add an icon on your device, and browser homepage. You may delete it easily (drag to the trash or change the link for the browser). If you choose to use them, thanks! DISCLAIMER: The content provided in this app is hosted by YouTube and is available in public domain. We do not upload any videos to YouTube or in Android app. This app provides an interface to interact, browse and watch YouTube video content and other website content. This application complies with US Copyright law guidelines of “fair use”. If you feel there is a direct copyright or trademark violation that doesn't follow within the “fair use” guidelines, please contact us directly.